Release the Hounds requires all dogs in the group dog walking programs to comply with our vaccination policy. We recognize the importance of appropriate vaccinations in keeping your dog healthy and recommend that all clients take preventative measures by keeping their dog’s vaccinations up to date as recommended by their veterinarian. Proof of Bordatella and DHPP vaccinations or appropriate titre tests are required before any group walking program, group training program, and/or boarding service commences in either hard copy format provided by the owner or in an email from their veterinarian. However, it is the responsibility of each individual owner to choose the preventative measures that are best suited for your dog’s health. A waiver of responsibility may be signed in lieu of vaccinations as long as it is accompanied by a signed letter from a veterinarian. Release the Hounds highly recommends that each dog also be placed on a veterinarian-approved flea and tick prevention program such as Advantage, Program or Sentinel before enrolling in any group activities. Please contact us for more information. What software do you use to handle all the communications with me? In November 2011, Release the Hounds implemented a new Customer Relationship Management software system from salesforce.com to strengthen our client communication. Besides dogs, do you provide care for other types of pets? Cat walks may be a bit beyond us, which is why we only offer walks to owners with dogs. However, if you’ve subscribed to our house sitting service, we will be happy to take care of any cats or small animals in addition to your dog that require care in your absence. What makes Release the Hounds a better choice than the other pet care companies that I can choose from? At Release the Hounds, we have your dog’s needs covered. Our services are handled by professional dog walkers and qualified boarding/sitting professionals. We’ve built our business around caring for your dog’s whole well being in a professional and fun manner. Just ask our happy dog clients. Why does RTH provide so many services including dog walking, boarding, and events? Release the Hounds believes that a well-rounded dog is a happy dog. 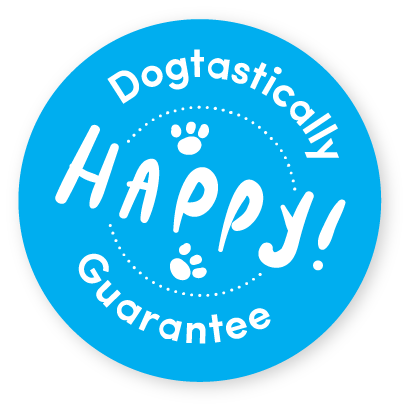 We have structured our business to reflect this philosophy, with the added convenience of a one-stop place you can trust for trained dog walkers, boarders, dog training referrals, and as a safe haven for your dog while you’re away. Release the Hounds will walk your dog rain or shine and if possible, even in the snow. The well being and safety of your dog is important to us and therefore we will not take your dog out in winter weather below -20 degrees or summer heat of +35 degrees or during unsafe road conditions. If we need to cancel services due to inclement weather, we will send you an EMAIL by 8am the day of service cancellation. Always feel free to call or email us if you have any questions about the weather and its impact on our services. Release the Hounds leads walks in designated off-leash beaches and parks in Vancouver, Burnaby, New Westminster, as well as trails in the North Shore Mountains and Burnaby Mountain that are both dog friendly and safe. The specific area your dog will be walked in is dependent on your location and the type of walking program you choose. If needed, do you dry off our dog before bringing him/her back? Adventure is dirty business and we understand that. All of our dog walkers carry dry towels to wipe down your dog as best they can before letting them inside your home. If your dog is particularly fluffy, or a longhaired breed that requires extra time to air-dry, just let us know where the best place for drop off is (kitchen, basement kennel, etc.) and we will be happy to comply. Call us at 604.327.DOGS (3647) or send us a message to set up your free, in-home consultation. We’ll meet with you to discuss which programs are appropriate for you and your dog and determine a walk that’s convenient for you. Release the Hounds requires 24 hours notice if you have to cancel a walk. Alternatively, if you require an emergency dog walk, give us a call before 8:30am the day of and we will try to accommodate you as best we can. How long is each walk and how long will my dog be gone? We offer many kinds of walks. Your dog will be out on the trail playing and exercising. However, the length of time your dog is actually gone varies depending on how many dogs need to be picked-up, traffic, and weather conditions. How do I ensure RTH gets access to my home? Release the Hounds will take a copy of your house key into our care for easy access to your dog each day they walk with us. Your key is coded with your surname, address, and telephone number and kept in a lock-box at our alarmed and monitored office when not in use. However, all of your important information will be stored separately for safety reasons. Why should I put my dog in a walking program versus a dog daycare? Ultimately, it depends on your dog’s needs, their size and temperament. For the majority of dogs, the consistent structure of a walking program gives them the exercise and stimulation they need. For older dogs or those with health concerns, an all-day daycare program is better suited. At Release the Hounds, we believe that a regular walking program contributes far more to whole dog health than daycare by offering constant stimulation in a social situation, and the consistent exercise that is so beneficial to your dog’s overall health. Plus, it’s just plain old fun. Why should I use a professional dog walker? We live in a working world, making it nearly impossible for everyone to provide their dog with all of their needs, all of the time, without some form of help. Professional dog walkers from a trustworthy service in Vancouver will give you the peace of mind knowing that your dog is getting the exercise and socialization they need for a well-rounded life. Are there any requirements my dog needs to fulfill before starting a program? Why is walking my dog daily important? Benefits of a daily dog walk go beyond fur deep. Regular exercise burns calories to help your dog keep in shape, stay lean, and helps prevent obesity, the leading nutritional problem in dogs! Daily walks relieve pent up energy, boredom, and help reduce behavioral issues that arise from inadequate exercise by stimulating your dog’s mind. Daily walks also help keep muscles and joints healthy. Even if your dog is older and suffers from arthritis or a previous surgery, a modified routine can be beneficial. How much is enough will depend on factors including your dog’s age, breed, and health. In most cases, a walk around the block isn’t going to cut it; dogs require 30 – 60 minutes of exercise a day, while active breeds benefit from additional hard aerobic exercise on a regular basis. Contrary to popular belief, even toy or small breeds need to get moving beyond indoor playtime. Live by the philosophy that a tired dog is a good dog. What if my dog gets sick while I am away? We will contact you as soon as there is any issue with your dog and make arrangements to have them see your regular vet if necessary. If it is an emergency situation or location-dependent, we will take your dog to see one of the certified vets that we work with on a regular basis. Do you board puppies or senior dogs? Yes, we board puppies as young as eight weeks of age. There is no age limit on the dogs we take in. Regular dog walking clients have the option to maintain their walk schedule while they are away on holiday. At your request we can also add a one or two hour adventure to your dog’s boarding package, subject to availability. Your dog will live in our home as part of our family. They will sleep and play where our dogs do. We will also maintain your dog’s regular feeding and provide them with exercise to minimize the stress of staying in a new home.